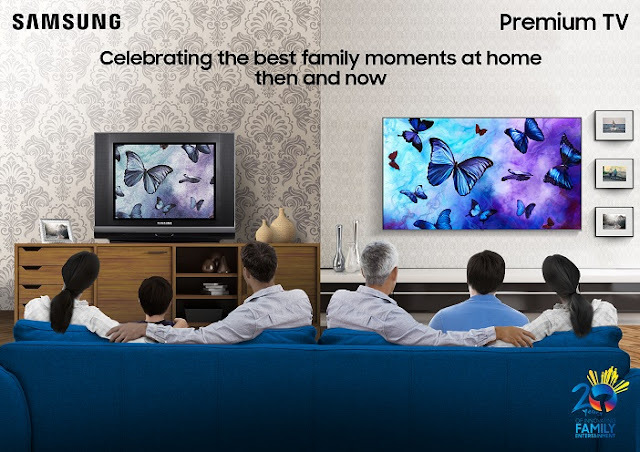 For over two decades, Samsung Philippines has evolved with the Filipino family, becoming a mainstay in many households across the nation. Inspired by the culture’s strong devotion to their loved ones, they continue to develop devices that turn ordinary days at home into special moments. Samsung’s television models demonstrate how they take a holistic and customer-centric approach to innovation. They’ve made breakthroughs in picture quality, design, and smart connectivity, opening more exciting possibilities for amusement that help Filipino families bond over exciting and premium entertainment. Still, Samsung continues to look for better ways to provide only the best viewing experiences for everyone. In the late 90s-early 2000s, Samsung became a key player in the liquid-crystal display (LCD) TV industry, delivering crisper colors with better contrast. By 2009, the brand made the shift from fluorescent lamps to light-emitting diodes(LED) to efficiently illuminate the screen from behind. This set the stage for the first 3D technology-equipped LED TV in 2010, breathing more life and depth into the images. Samsung further refined their picture quality with the launch of the Ultra HD (UHD) and SUHD that express dazzling brightness and accurate image representation. Their latest units use 4K resolution, which is four times better than full HD, to take viewers to the most vibrant worlds. With features that make shadows and silhouettes sharper, Samsung TVs make families enjoy their favorite shows in cinematic clarity and dramatic depth. Over the past decade, Samsung has demonstrated industry-leading design and engineering expertise. In 2009, they created the world’s slimmest TV of that time, measuring 29.9mm. They made the largest UHD TV of 2013, sized at 110 inches. Pushing their limits further, Samsung released the 105-inch Curved UHD TV in 2014—the largest during that year. By 2015, they were the only brand that had curved variants in four distinct expansive sizes in the global market. Today, some of their latest offerings, like the QLED TV, have streamlined nearly invisible cable systems and bezel-less perimeters, providing uninterrupted entertainment. Simple yet sophisticated, these screens can also turn into beautiful decorative pieces that blend with any home interior, or function as a personal photo gallery to showcase precious family photos. Samsung also makes models that are just as intelligent as they are beautiful. In 2010, they opened the world’s first TV application store and adopted Smart Hub—a feature that pools multiple channels and content on a central panel—a year later. In 2012, they were the first to launch the Smart TV, equipped with the Smart Interaction feature that enables Voice, Hand, and Face Recognition. The following year, they introduced Smart View, which allows file sharing from compatible smartphones to the TV—another industry first. Today’s Smart TVs make it easier for users to discover and access all their favorite programs and services all in one place. Moreover, they connect to over 200 compatible devices for easier household management. These units can function as an information hub for important news, or a control panel where you can lock doors or switch off lights—perfect for today’s connected family. After 20 years in the country, Samsung is ready to push the limits of technology further. The brand hopes to provide more groundbreaking innovations that upgrade quality moments at home.